A portrait commissioned by the Society’s Council to mark the retirement of Dr Rita Gardner after almost 22 years as Director has been unveiled. 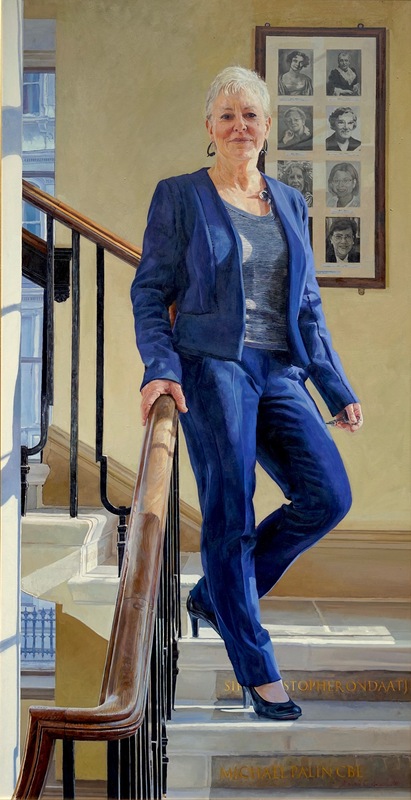 The portrait, by Alastair Adams, a former President of the Royal Society of Portrait Painters, recognises Rita’s leadership and innovation in the development of the Royal Geographical Society (with the Institute of British Geographers). Rita has been a Fellow of the Society for over 40 years. Before becoming the first female Director in its 188-year history, she was the first woman Honorary Secretary, instrumental in the merger of the RGS and the IBG, co-led the Society’s Nepal Field Research Programme, set up the regional programme, and was Editor of the Geographical Journal. The portrait will hang in the Exhibition Road reception area from the end of May. The Society thanks the generosity of the donor who made the portrait possible.